If you work with animals, you probably know the name Zareba. Their line of electric fences contains everything from sheep to elk, all over North America. If, like us until this project came along, you don’t have a day job that involves wrangling animals, you might not know anything about Zareba. But they don’t just keep animals in their pastures. Zareba also offers products to keep animals out of gardens. They wanted to raise awareness for the fences they offer to home gardeners, and for that they wisely turned to film. We’ve written before about working with Terro, a Woodstream company that makes bug-killing products. 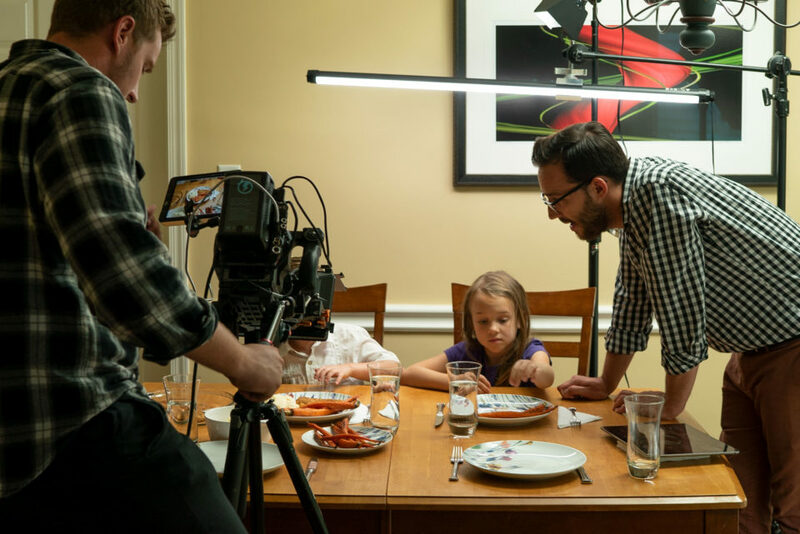 The Woodstream company is not only a fantastic creative partner – they’re a parent company with a host of quality brands under their umbrella. 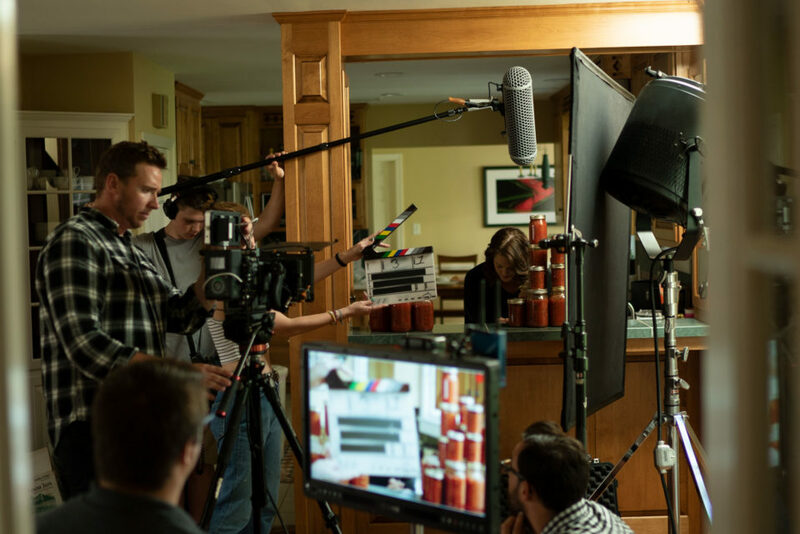 When another Woodstream brand, Zareba, was interested in teaming up to produce their own films, we jumped at the chance. We and Zareba wanted to produce snappy, interesting, visually striking films to introduce Zareba as the solution to every gardener’s bane: vegetable-eating wild animals. We knew that they intended to use the films as pre-roll ads on Youtube, so they had to be immediately interesting. They had to present a problem and a solution in an entertaining way. Every project presents its own challenges and opportunities. These Zareba films definitely had their hurdles, but we think that in the long run, they made each film stronger. As anyone who’s made a film knows, working with animals is never simple. Our animal handlers were fantastic, however, and we enjoyed the challenge. 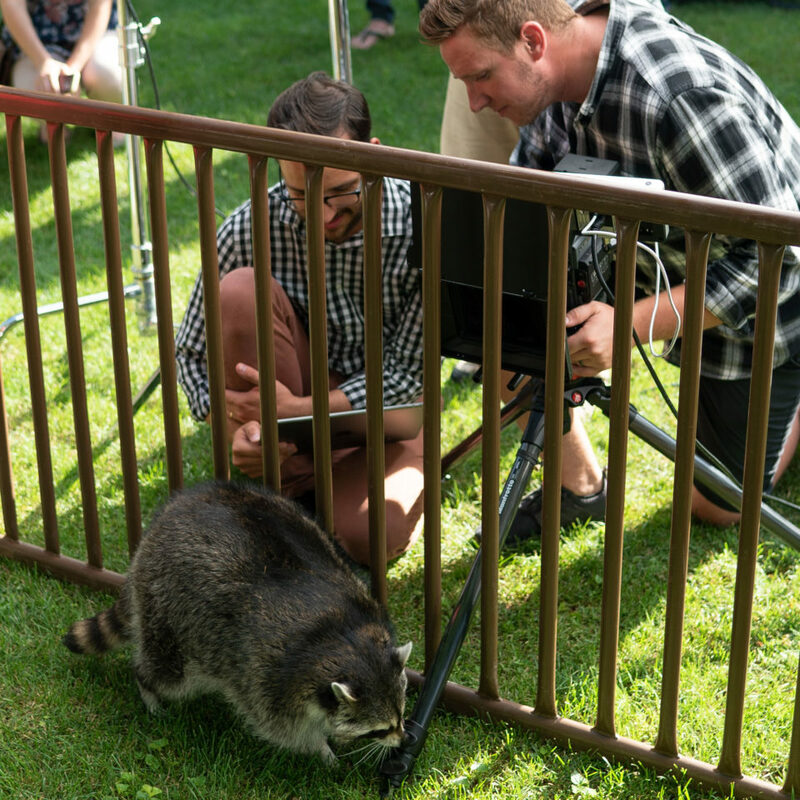 The racoon featured in Corn Vs Racoon – who you can also see in Unbreakable Kimmy Schmidt – was the biggest personality on set. After an hour of using every raccoon-edible treat to lure him onto his mark, we discovered he was only interested in a mini soccer ball. When it was all said and done, we utilized every second of usable footage this little guy would give us. In the end, these short, funny films became something we’re really excited to share, something with a lot of personality. They’re not cookie-cutter videos – they’re a unique tribute to Zareba’s dedication to quality fences.